With more than 375 participants, the Oregon Regional Pay Survey is a vital tool for managers, HR professionals, and business owners. Reflecting pay data for more than 300 jobs, the survey report provides exclusive wage and salary data for a variety of non-exempt, exempt, and executive level positions throughout Oregon and Southwest Washington. The average percentage increase in base pay from Spring 2017 to Spring 2018 for all jobs is 3.86%. This average increase trends slightly above the projected increase percentage in pay forecasted by 81 executives on the 2017/18 Salary Budget Survey last fall at 3.44%. 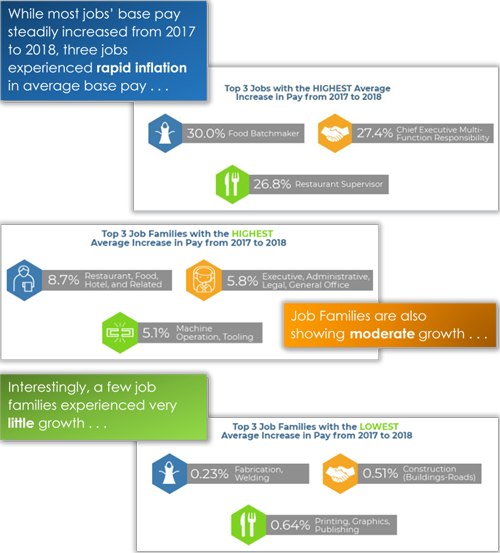 Visit SalaryTrends® to learn more about the 2018 Oregon Regional Pay Survey, or to purchase the full report. Previous post: Go Ahead, Take a Vacation!